This switch tester can fit 9 different Cherry MX type switches. 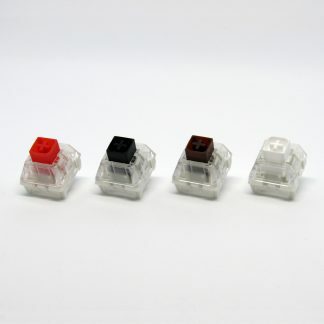 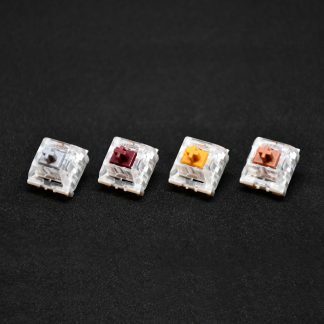 It is not compatible with Kailh branded switches due to differences in the switches housings.. 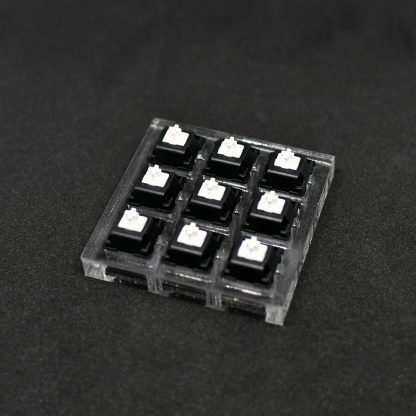 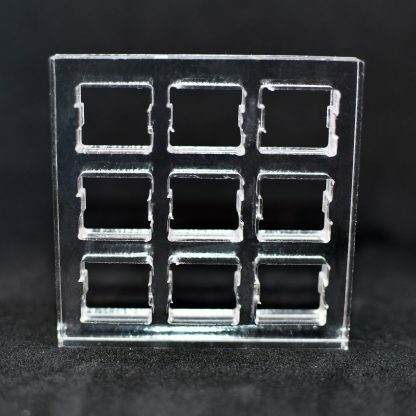 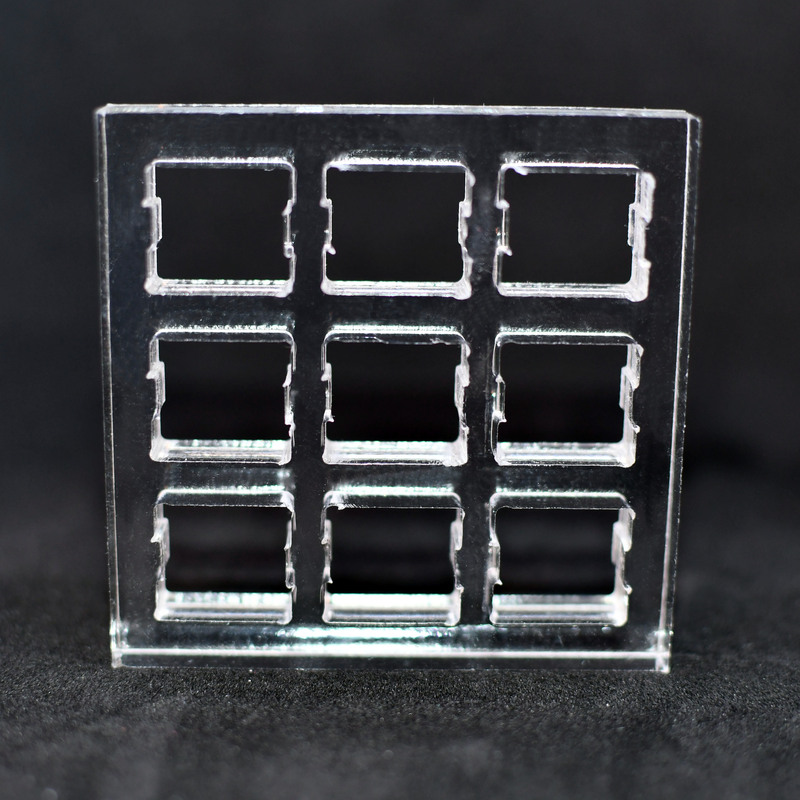 It is made with thick-cut acrylic and firmly holds the switches in place. 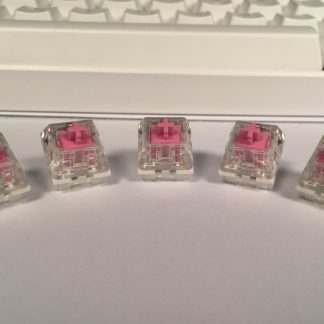 Does not come with switches.